Our client service philosophy is built on three pillars; uniqueness, fiduciary and confidentiality. Every client is unique and deserves to be treated as such regardless of the size of the portfolio. The first thing is to determine the client’s goals and risk profile regardless of whether or not we do a complete financial plan. This information is used to develop an Investment Policy Statement specific to the client that is the foundation for developing your financial plan and/or your investment portfolio. Second, we believe clients’ interest should be first. 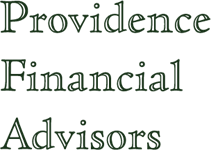 As an independent registered investment advisor, we take the position of a fiduciary in our client relationships. This means we put their interest in front of ours or our firm. We are a fee only advisor, paid only by our clients for the services we provide. The fees are always agreed upon prior to starting the engagement. Finally, confidentially is paramount in our client relationships. We do not share any information with anyone outside of those necessary to implement the assignment for which we are retained. We will never disclose a client relationship without prior consent of the client.